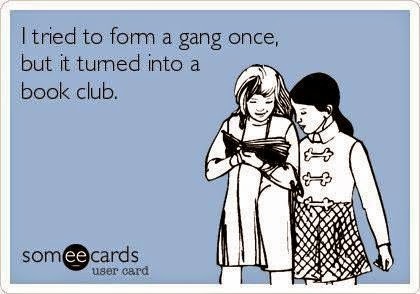 For all that I love reading, I’ve never actually been in a real live book club so when a colleague asked if I wanted to join the work book club, I was keen. I also felt like I should make more of an effort to be sociable with the people that I work with and if I’m going to socialise with anybody, it might as well be the people that like books enough to want to meet once a month to talk about them. Rather than reviewing my book club books, I decided that I’d just do a sort of book club discussion recap. Since yesterday was the first meeting I made it too, this is my first Book Club Chatter post. What I didn’t really think through when I agreed to join the book club was the practical side of having a specific book to read once a month. The first month I ended up disgruntled – the book club had chosen We Are All Completely Beside Ourselves by Karen Joy Fowler before I was invited to join, hot on the heels of Hanna’s less than glowing review. I wasn’t actually planning on picking up WaaCBO at all. Regardless, I bought it, read it, thought it was sort of ok but had a few points that really bugged me and then MISSED THE MEETING because of a client call (Hanna, you shush). Not amused. So I don’t really know what anybody else thought and I can’t relay the discussion but I felt as though Fowler had had a good idea that was stretched too far and that it tried too hard to be an Important Book with a Message. I crossed my fingers and hoped that the rumours of the next book being Boris Johnson’s biography of Winston Churchill (which I would have had to refuse to buy because I will never pay my actual money over to that man) weren’t true. They weren’t. This being chosen delighted me mostly because I’d already read it (and reviewed it). I know. That isn’t the point. But I’d just tried to read The Pickwick Papers and endured We Are All Completely Beside Ourselves for what transpired to be no reason and I think I would have cried if I’d had to read something else that I wasn’t keen on that I hadn’t chosen. 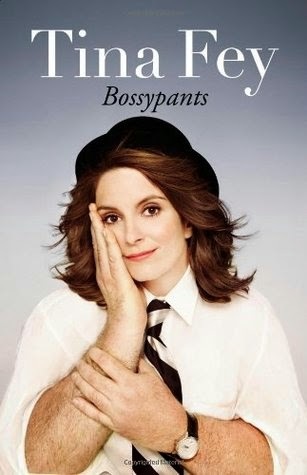 So I was glad it was Bossypants for the wrong reason. Sue me. It also happens that I really like this book and I’m happy for any chance to bang on about just how much. Getting to do that in a pub with some people that seem as though they will be jolly good reading companions was just an added bonus. One person did muse over whether I was “cheating” by listening but the audiobook fans outnumbered the “traditionals” so all was well. Out of the six people that turned up, three (including me) were Fey fans and three weren’t convinced. Given that I’d never been before, I had no idea who was going to like it and who wouldn’t. Had I guessed, I’d have got it wrong, which I suppose is the good thing about a book club! Although generally the three of us that liked it had watched 30 Rock or Saturday Night Live or were Mean Girls fans, one person who hadn’t really seen any of the things that Fey is most famous for still liked parts of it so apparently it is as generally great as I’d thought, although admittedly less interesting in the latter half if you aren’t familiar with the names or programmes that Fey is talking about. Strangely, one member of the group didn’t like it because she found the language off-putting. I don’t know what it says about me but I didn’t even notice the language as particularly bad so I haven’t a clue whether that’s even a valid criticism. Clearly if you’re particularly sensitive about swearing, this book might not be for you. A health warning that it would never have occurred to me to give on my own, which I suppose is the point of a book club. Much though I love it though, writing out this post kind of makes me realise that it possibly wasn’t the best book club choice. Beyond the “I liked it” and “I didn’t like it”, there wasn’t much to say. I rabbited about how I loved Fey’s account of a photo shoot. One of the other girls preferred her stories of growing up and her early work with improvisation. Mainly, though, we just talked about Tina Fey, which I suppose is the difficulty with choosing an autobiography of someone fairly uncontroversial. It was really nice to sit around chatting about books, though, so overall I’m glad I did stick it out after the Fowler experience!